The largest Zumba gathering by Watsons Malaysia recently took place at the Sunway Lagoon Surf Beach - with over 5000 registered participants, ready to partake in the Watsons Move Your Body Zumba 2016. 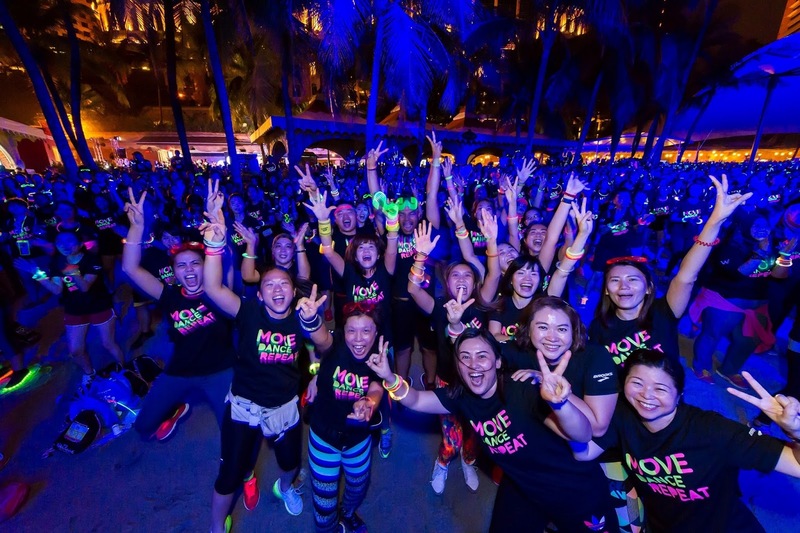 Asia's leading health and beauty retailer came up with a 'Glow in the Dark' brightly lit themed event. 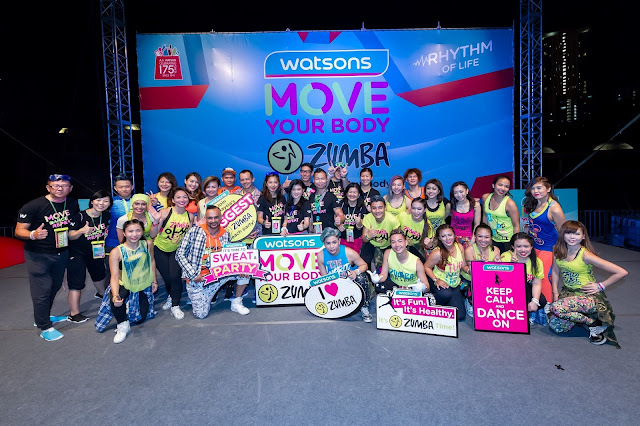 Zumba enthusiasts definitely did not want to miss out on this highly anticipated gathering, also celebrating Watson's 175th Anniversary. 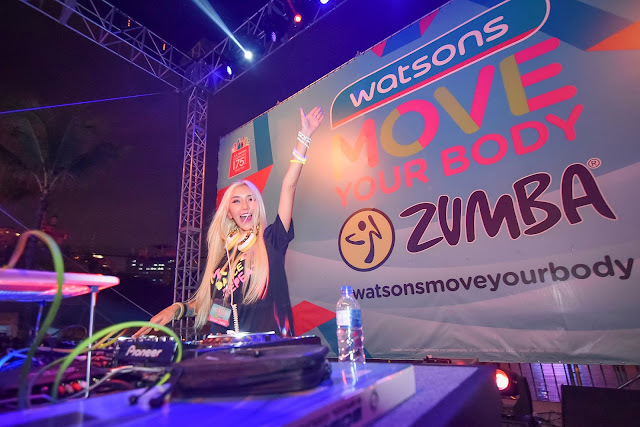 In Penang last year, Watsons Move Your Body was acknowledged by the Malaysia Book of Records for the largest participation of over 7000 participants. This time around, making their mark again for achieving the Largest Participation for Glow in the Dark Zumba. 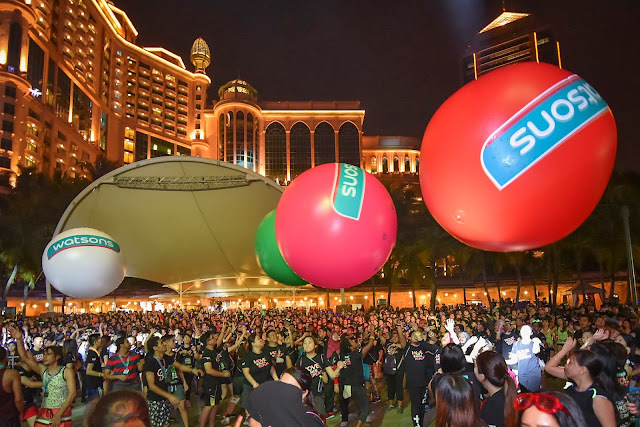 At night, the Zumba beach party was set in motion with fun-filled activities, and lucky draws hyped up by Hitz FM announcer Arnold. The sessions started on energy pumping routines in collaboration with Zumba Fitness which has their headquarters located in Florida, United States. 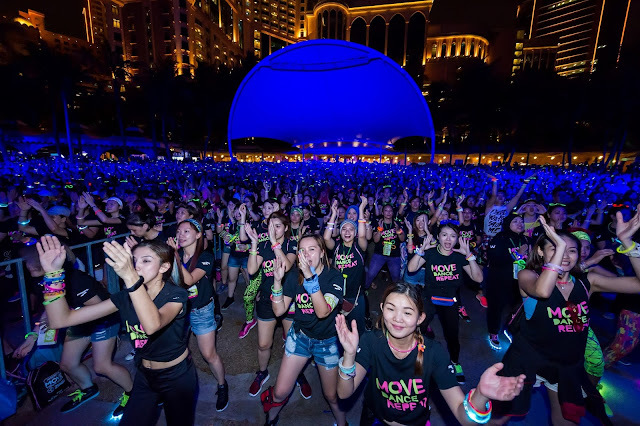 The event had the opportunity to be led by two Zumba education specialist, David Velez and Michael Thomas, from Columbia and Australia respectively. “Zumba is loved and enjoyed by everyone around the world and many people love the fact that Zumba can help burn calories and at the same time enjoy the process. 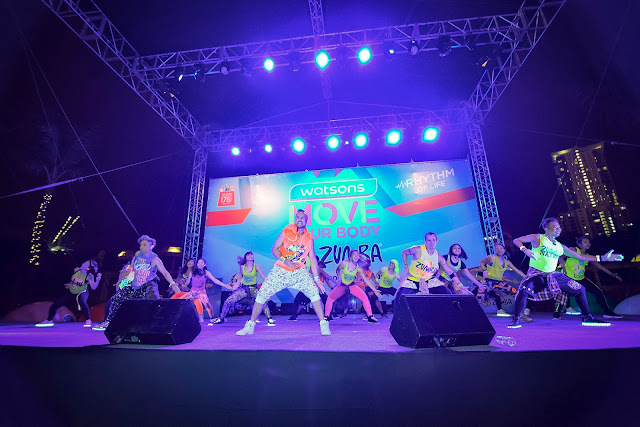 We always describe Zumba as fun, happy and sweat all together and it was great to see everyone having their fun time at this Zumba gathering,” David Velez. The event kept the adrenaline going for the participants, topping off the night throughout with non-stop spinning from the DJ line-up; Jakeman & Skeletor, Leng Yein, Chuckiess & Whackboi and H3.